It’s fair to say that 3.1 Phillip Lim is championing platforms for Resort '19 - every outfit in the label's lookbook is styled with sky-high footwear. 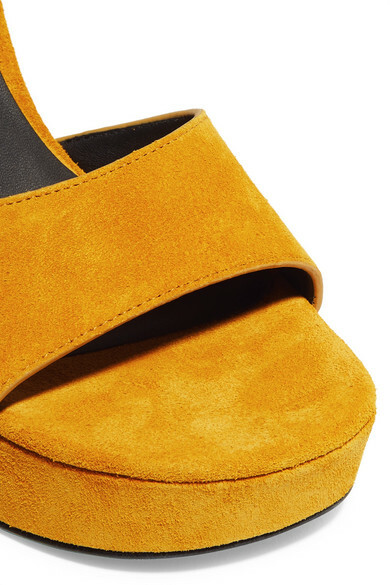 Perfectly capturing the collection's '70s mood, these 'Ziggy' sandals are made from mustard suede and have a glinting metal trim along the cylindrical block heel. Wear them with everything from denim to dresses. 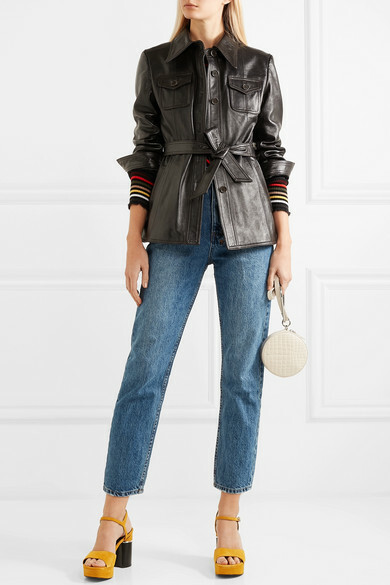 Shown here with: 3.1 Phillip Lim Jacket, Sonia Rykiel Sweater, Ksubi Jeans, Gu_de Clutch.